Soda headband all the way on, Leticia Bufoni last week showed the rickety, seatbeltless and whiplash-providing rollercoaster that is the competitive contest skater’s emotional inner life on this, tha eve of the 2020 Summer Time Olympics. With a nearly half-full arena on its feet, Leticia Bufoni goes full Bastien on a serviceable lipslide, only to see it all torn away moments later by the fatal combo of Aori Nishimura’s rote boardslide and an opaque scoring algorithm. Such is the story of all our lives, only with less national pride and energy juice funds at stake, and perhaps bodily safety. The Seaholmed setup says it all, speaking not only for Leticia Bufoni, but the team she represents. Beyond the Plan B FamilyTM, the path toward wallowing in Olympic gold and loudly blared sovereign anthems increasingly stands a group effort, paved in judicial tomes and buttressed by rich mahogany wall paneling, professionalized places where all-black Emerica shifters probably don’t cut the workwear mustard like they might in the computer science or customer service realms. It is within such hallowed halls that the would-be action sporting medalhoister must seek wisdom and succor for those tricks that require fine print decypherage, or specialist counsel for bloody scrapes of the legal kind. Are the Olympics the end result of such a cycle or a catalyst for more? Does the accumulation of wealth, like a katamari rolling swiftly down a mountain made of dollar bills, make legal targets out of accumulators and profit drivers such as Nyjah Huston? 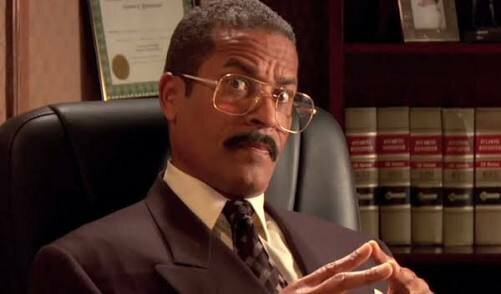 Could a reasonably priced yet highly respected correspondence-course law degree place Frank Gerwer in position to emerge as skating’s Jackie Chiles? This entry was posted on January 26, 2019 at 5:17 pm and is filed under Uncategorized. You can follow any responses to this entry through the RSS 2.0 feed. You can leave a response, or trackback from your own site.